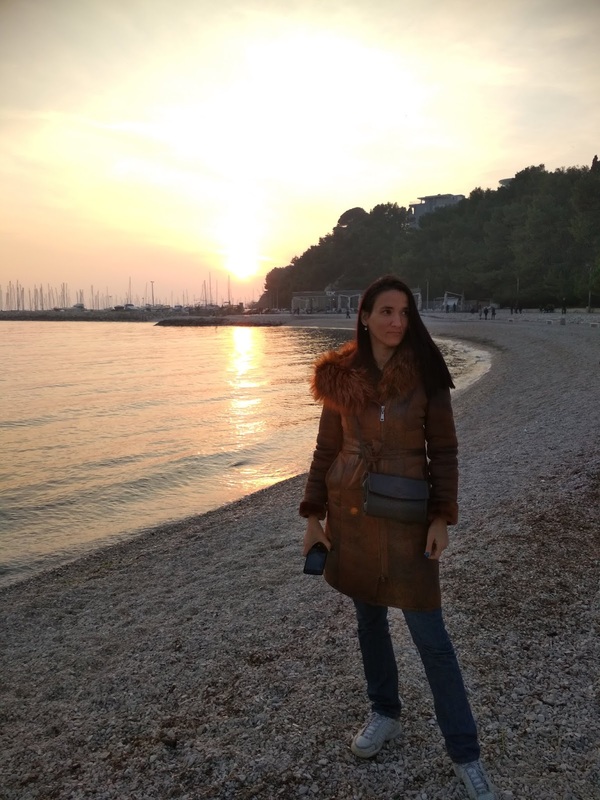 A SHORT VISIT TO SPLIT CITY/ WHERE TO DINE AND WHAT TO DO? 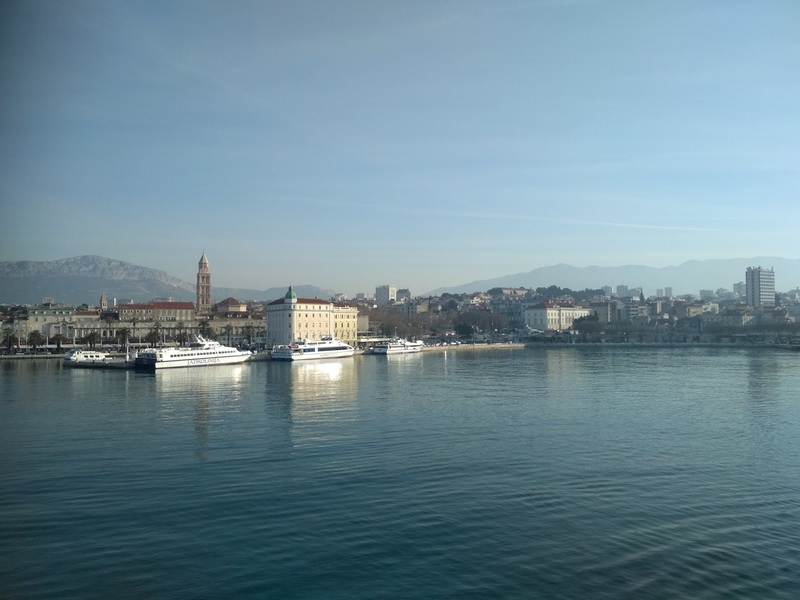 Today it is time to show you a few photographs from my visit to Split city last February. 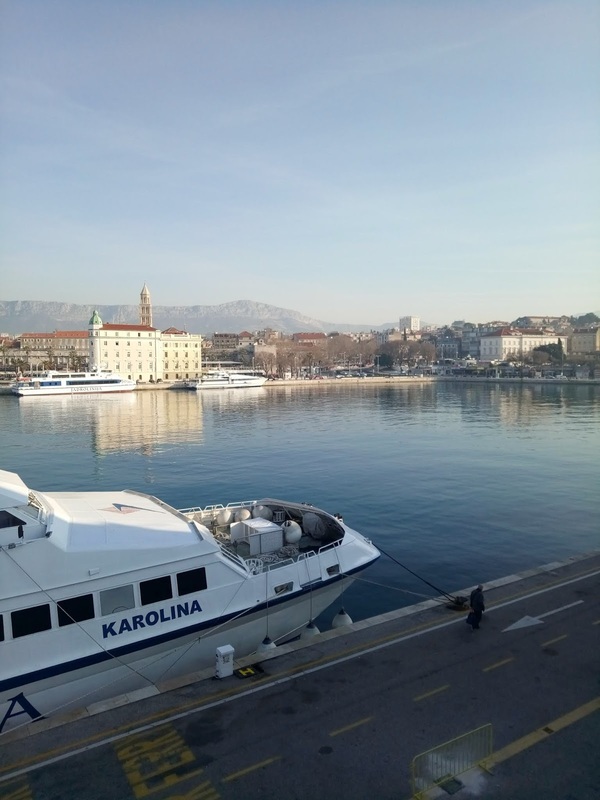 I had planned to visit Split this March as well, but so far I haven't managed to do it. That doesn't mean that I won't. March isn't over yet, right? 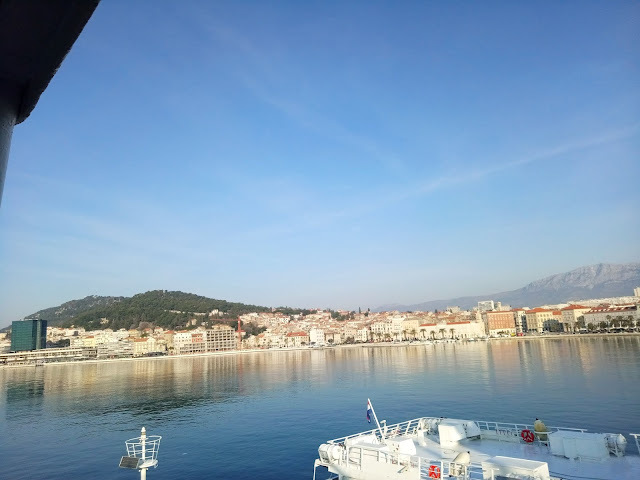 Anyhow, today I'll show you what I did in Split last February. I already told you about visiting my family in Jelsa, island Hvar, and now the spotlight is on Split. Do you remember that grey DIY dress I showed to you last autumn? That was the first 'real' dress I made (using a sewing machine). Before this one, I had only made a couple of summer dress and I sewed those by hand. This was the first proper dress I made and I absolutely love it. Bellow you can only see it partly (as I styled it with a faux fur and leather coat and boots), so I'll include a prior photo of it as well. This is how I styled it recently. These two photographs were taken in front of a buildings that has recently been turned into an university building. Over the years, the university collage in Split has been growing. It seems that some of the faculties are also moving into buildings in this area. Did you know they have Korean studies in Split now? I didn't, until I read it from the board on this buildings. That's really cool. I wish they existed in my time. I could have studied Korean. But I suppose it is never too late to start. It is lovely to see my city change in front of my eyes. In the evening I wore the same coat but paired it with jeans and sneakers. 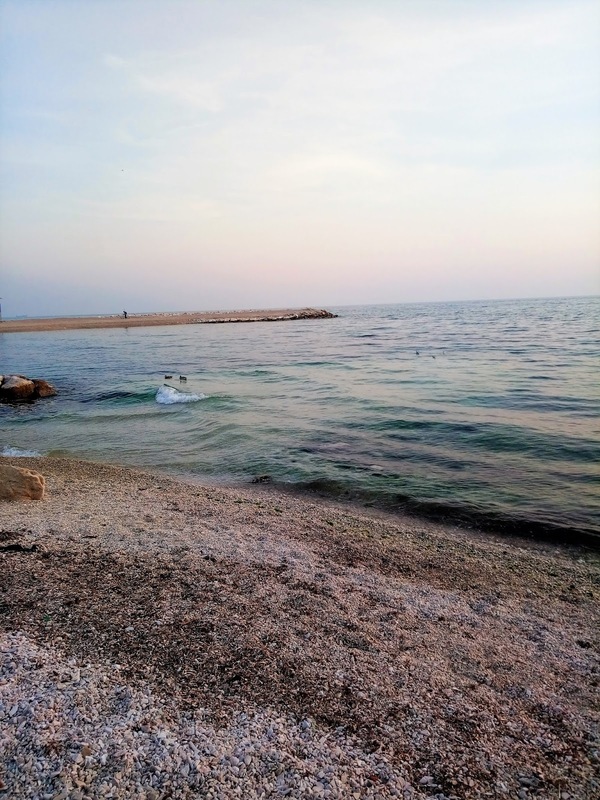 We went for a little stroll by the sea, which is something you should totally do if you visit Split city. 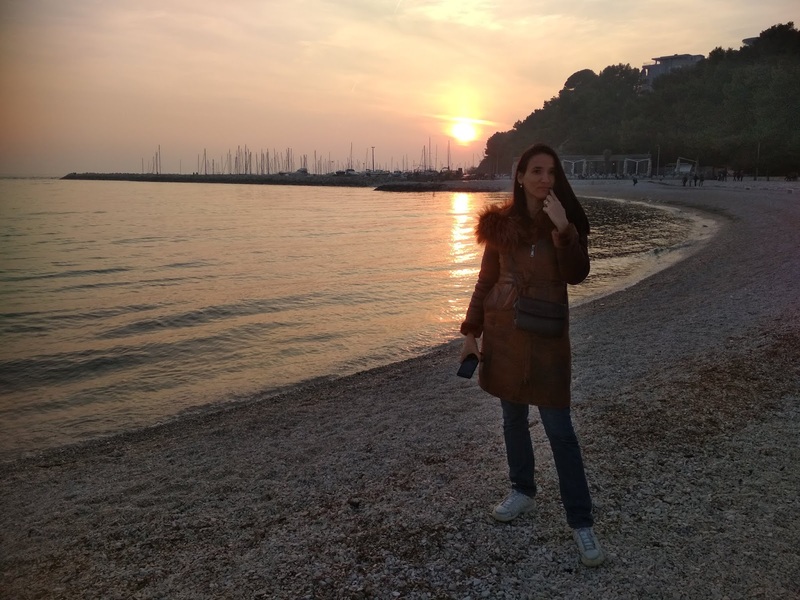 There is nothing more beautiful then sunsets by the sea, is there? I love Split's sunsets, they are always so beautiful. Besides walking around, what else have we done? We also dined in our favourite Asian restaurants. Where to dine in Split city? I always stop by two Asian restaurants that are located in my old neighbourhood (called Split 3). 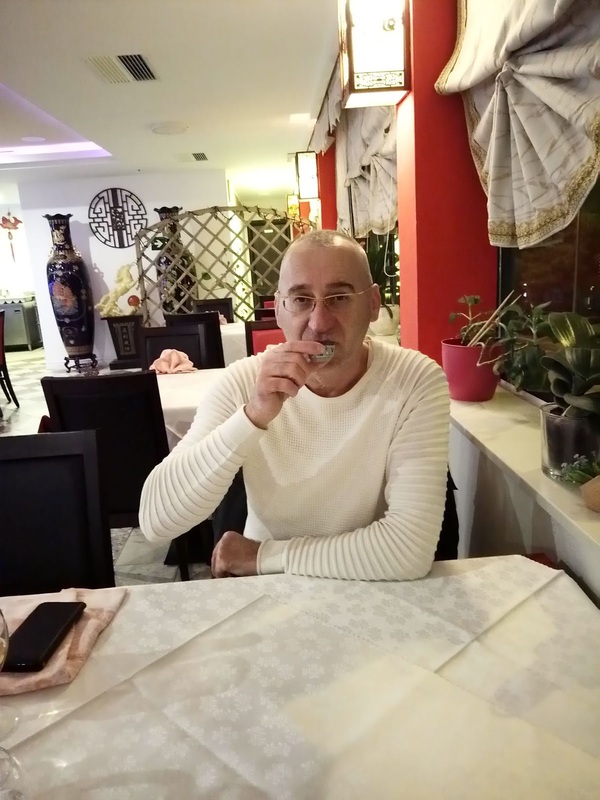 The first one is called Biser Orijenta (Pearl of Orient), the second is called Kineski restaurant Asia, Hong Yung (Chinese restaurant Asia) and its address is Poljička cesta, 39. Both restaurants are located in the walking distance of one another. I ate in both of them when I was in Split. I usually do. The food served is mostly Chinese cuisine, but on the menu there are also some dishes from other Asian cuisines. 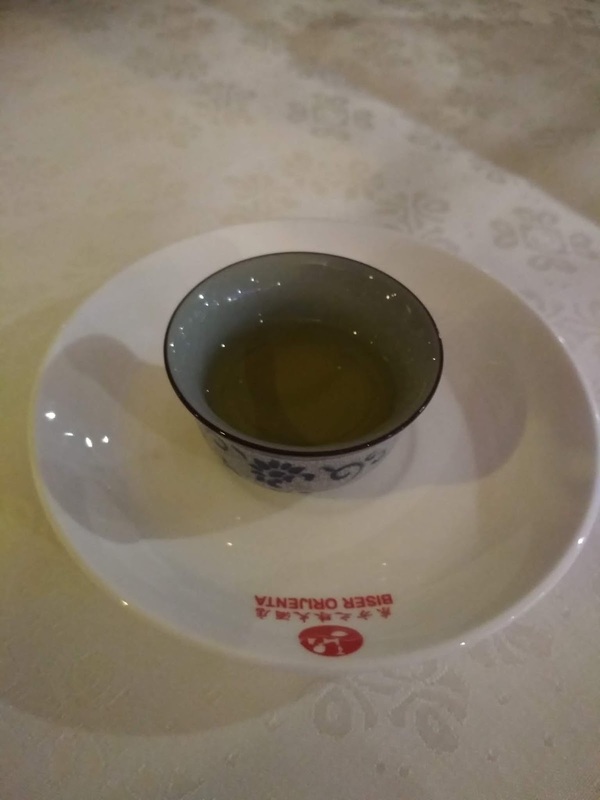 Last time we were there (in Pear of Orient), we wanted to order sushi but the main chef had to leave, so we ordered something else (bamboo and chicken soup for start and meat dumplings and noodles with vegetables for the main dish). However, half an hour later the chef returned and he insisted on bringing us a portion of sushi on the house, so we had that too. I was super full as you can imagine. Anyway, I can definitely recommend these two restaurants. I had a really good experience in all Asian restaurants in Split city, but these two are my personal favourites. I hope you've enjoyed this Split getaway with we. There is always lots to do and see in Split city. Let me know if you would like me to talk more about it more in the future post. Today I've kept it short and sweet, but you know that I can write much longer posts, so if you want to see and read more about Split city, write so in the comments. I blogged about Split a number of times, so not to repeat myself , I'll include some links to my previous posts and you check out them as well. 1. 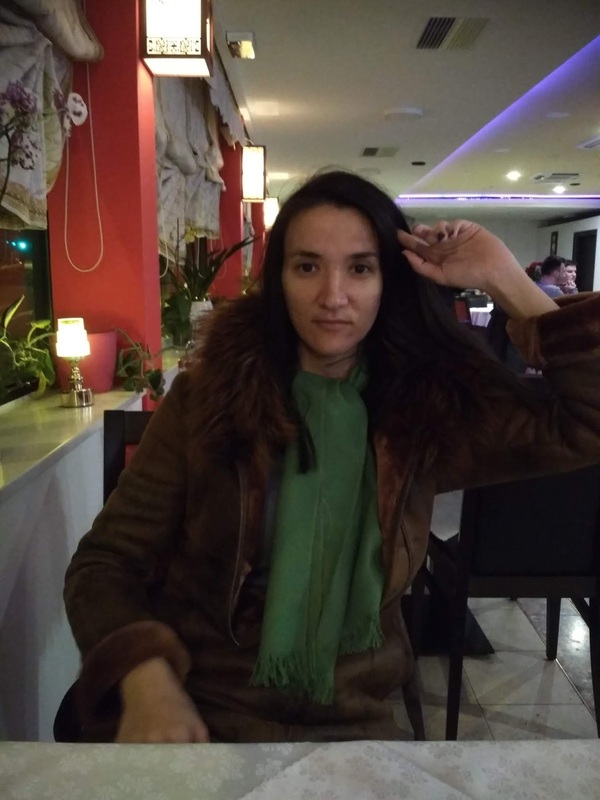 What to do in Split city? 2. 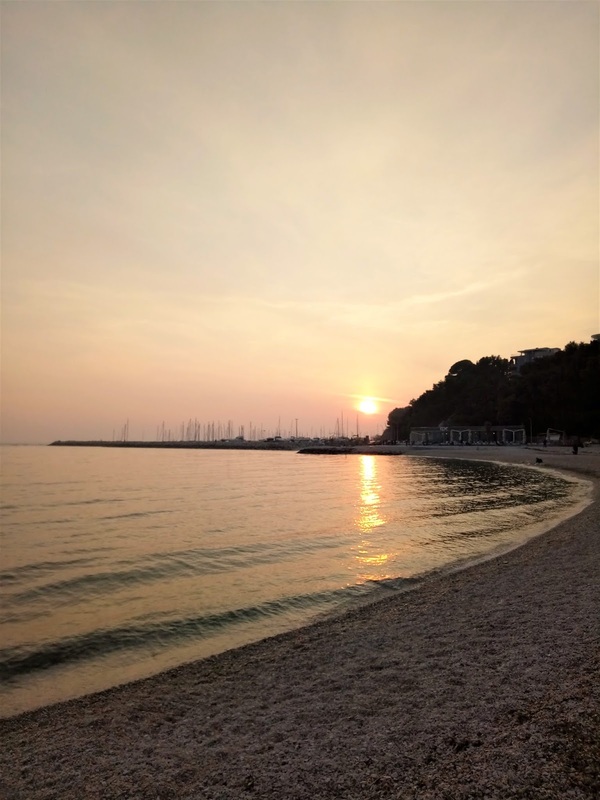 How to Find the Best Photo Worhy/ Instagrammable Places in Split? 3. 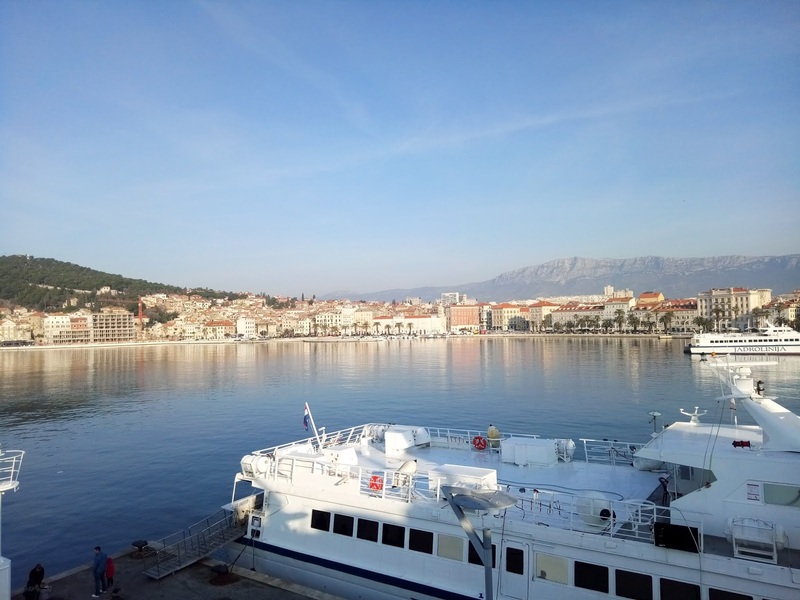 Why exploring Split City on Foot Makes Perfect Sense? 5. 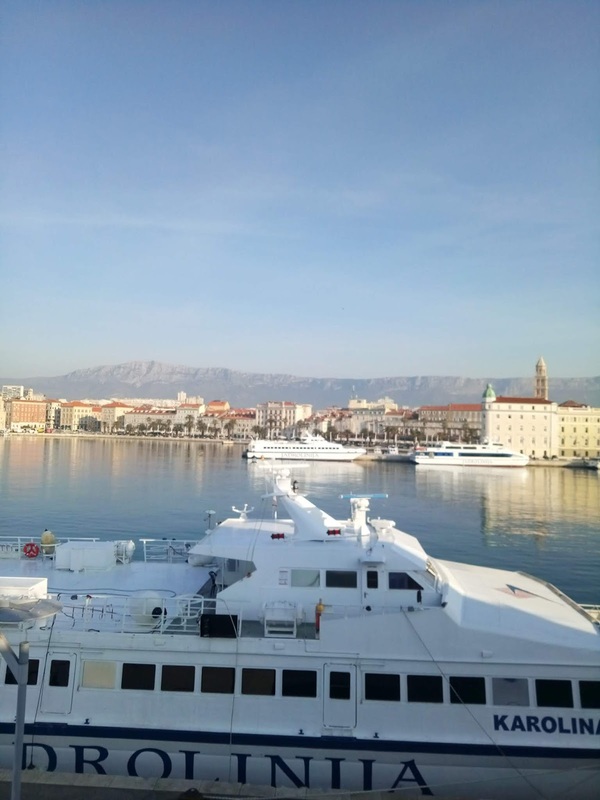 Is Spring a Good Time to Visit Split city? 9. Is Domnius Cathedral's Bell Tower Worth the Visit? 10. Where the Sea is Crystal Clear? That would be all for today. As always thank you for reading! Have a lovely day. 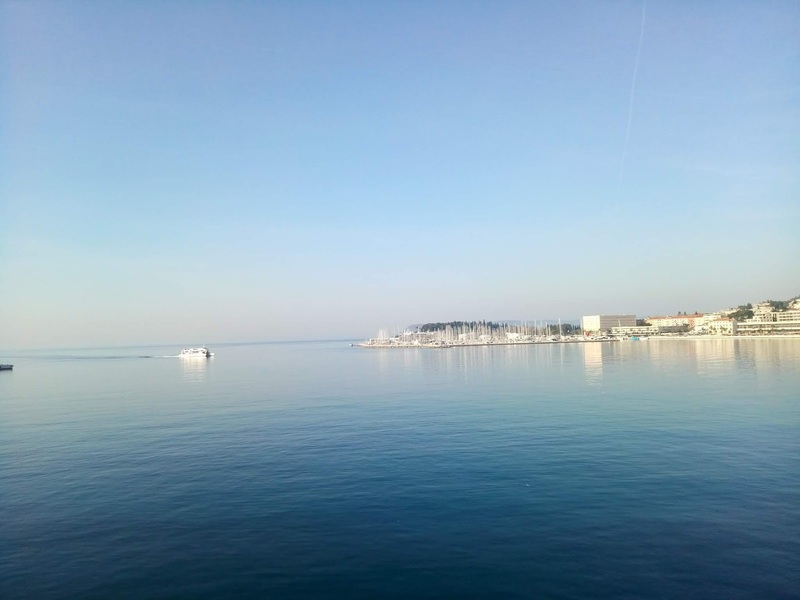 Split looks gorgeous, I wish I was there right now. we've got sunshine but nothing beats being beside the sea! Beautiful photos and also lovely dress. Well done, it is nice and elegant. Those shots are so pretty! The place is amazing! Being on the water like this makes for such a wonderful place to visit, Ivana!! And you have such talent that you made that dress. You and my mom would be like sisters!! Thank you Jodie. Split is a great place to visit. I'm just a beginner when it comes to sewing, but I hope some day I'll be as good as your mom. What a beautiful city to enjoy the sun setting! Walking on the beach early or at the end of the day is so peaceful. 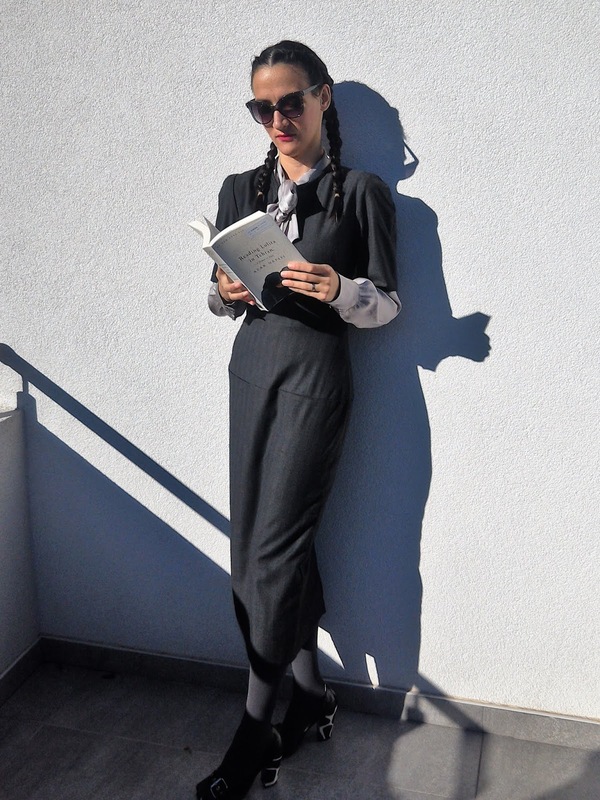 Your grey dress is so perfect to style in so many ways. Asian food is so yummy. We try to recreate dishes at home that we have had in restaurants but we can never get make them quite right! thank you dear. I do agree. It is so peaceful to walk on the beach early or late in the day. I know what you mean about Asian dishes. I tried to recreate them at home, and while they didn't turn out badly, they were not as delicious as those in restaurants. You did such a wonderful job on that dress and I love how you styled it in two totally different ways. It always sounds like there are fun things to do and nice places to dine at in Split. It must be lovely to have seaside view everywhere you go as well. that's always a great advantage to any coastal city, the seaside view is always a fab thing. Split sembra proprio il posto perfetto per passare qualche fuori città in tutto relax! Le foto sono belissime e molto suggestive, si vede proprio che è un posto tranquillo e ben tenuto! 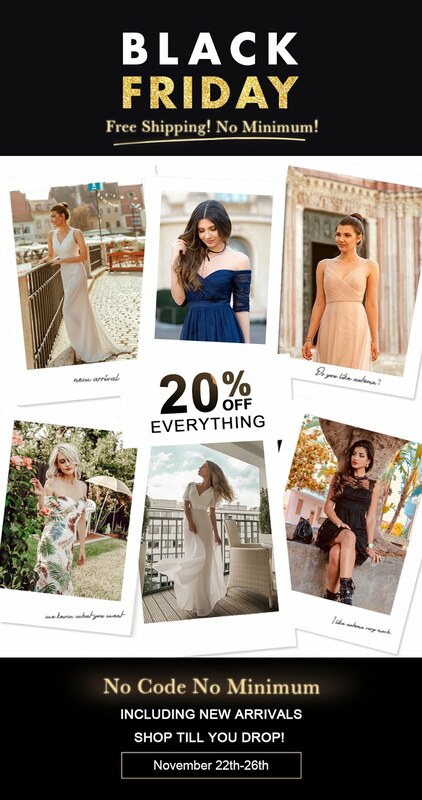 These pictures look so amazing and so do your outfits!! It looks like an incredible place to see! It looks like an incredible city! Your trip maybe short but it sounds like you had a great time! yes, I did. Thank you!